Do you want to keep your eyes healthy? 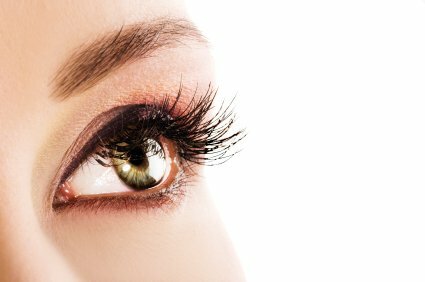 Having a comprehensive dilated eye exam is one of the best things you can do for your vision. If it has been a while since you have had one or if you have never had one, it may be time. According to the NEI National Eye Institute, you may think your eyes are healthy, but visiting an eye care professional for a comprehensive dilated eye exam is the only way to really be sure. During the exam, each eye is closely inspected for signs of common vision problems and eye diseases, many of which have no early warning signs. Annual comprehensive dilated eye exams are generally recommended starting at age 60. However, African Americans are advised to start having comprehensive dilated eye exams starting at age 40 because of their higher risk of glaucoma. It’s also especially important for people with diabetes to have a comprehensive dilated exam at least once a year. Key elements of a comprehensive dilated eye examination include dilation, tonometry, visual field test and a visual acuity test. Dilation is an important part of a comprehensive eye exam because it enables your eye care professional to view the inside of the eye. Drops placed in each eye widen the pupil, which is the opening in the center of the iris (the colored part of the eye). Dilating the pupil allows more light to enter the eye the same way opening a door allows light into a dark room. Once dilated, each eye is examined using a special magnifying lens that provides a clear view of important tissues at the back of the eye, including the retina, the macula, and the optic nerve. The information contained in this Avenue 360 Website is not a substitute for medical advice or treatment, and Avenue 360 recommends consultation with your Avenue 360 doctor or health care professional. The information contained in this Avenue 360 Web site is not a substitute for medical advice or treatment, and Avenue 360 recommends consultation with your Avenue 360 doctor or health care professional.